Seven months into his presidency, Donald Trump has decided to issue his first pardon. And that pardon was issued to Joe Arpaio. The move has been generated a lot of backlash for Trump, but none have come out more strongly against the move than The Phoenix New Times on Twitter. The thing is, Donald Trump does a lot of things that we do not agree with. So much so that a woman started a GoFundMe just to ban him from Twitter. He can’t even look at the eclipse properly. But this isn’t something as simple as making a meme or making fun of the president for staring at the eclipse without glasses. Joe Arpaio was convicted for a reason. And this pardon helps breed the racism surrounding the United States currently. The Phoenix New Times Twitter thread focuses on what the news source found on Arpaio over the last 20 years. The Twitter thread is meant to show why people are outraged by the pardoning of him. And if you didn’t know anything about Joe Arpaio beforehand, be prepared. We’ll start with these tweets in the thread. The tweets themselves have thousands of likes and retweets. But if these stories weren’t bad enough, there are more — like the shocking rate of deaths at his prison that were never explained. And what is evident from all the different stories is Arpaio’s racism. In today’s climate with everything happening with the KKK and neo-nazi groups, this pardon is a shocking display of Trump’s feelings. Arpaio was found guilty of racial profiling and was disgraced from his position for multiple reasons. He also falsely arrested journalists who were covering him. For many, his pardon is a slap in the face. 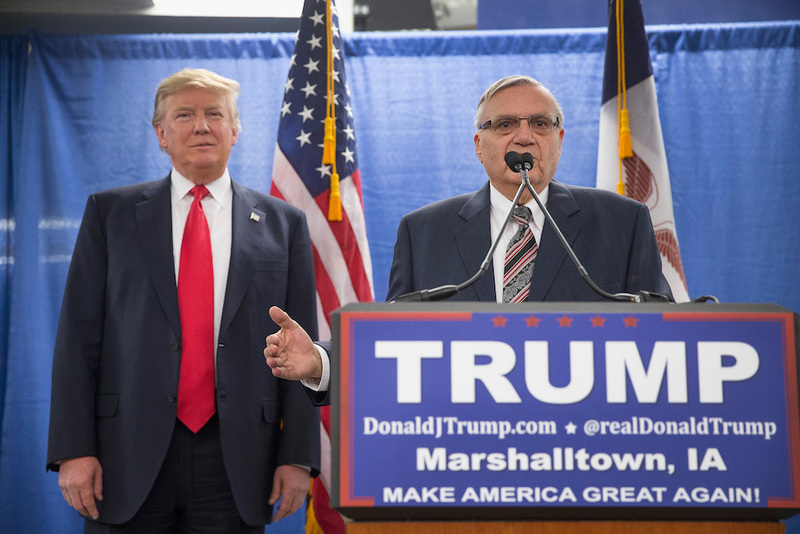 Whether or not Arpaio was pardoned because he has always been a supporter of Donald, it was definitely not a political move that anyone wanted to see. If you haven’t, read the entire thread and see what the news source discovered over the last few years. The Phoenix New Times has something to say — and it’s all worth hearing.